Clara is the perfect picture of a typical child. 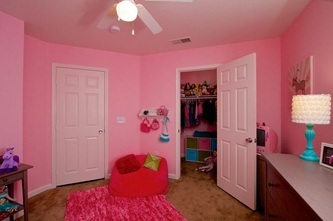 She laughs, giggles and loves all things pink! If you saw her on the street you would have no idea how much pain and struggle she has faced in her five young years. 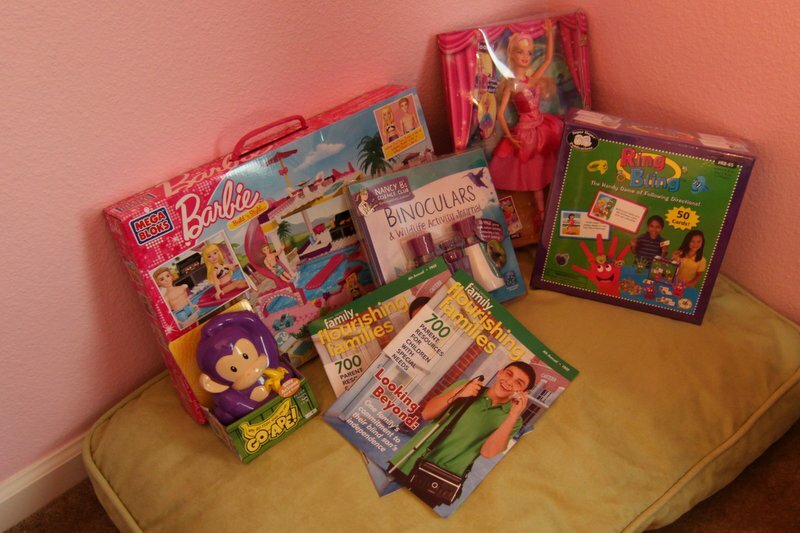 One of our goals with Mission of Giving is to shatter the perception about what it means to have a disability. Sometimes the disabilities are not visible to the outside world, but they provide challenges to a family never-the-less. Since the age of 8 months, Clara's life has been full of doctor trips, hospitalizations, and constant tests. Clara has been through so much in and despite a positive outlook on life, her family knows that she will continue to go through so much more. 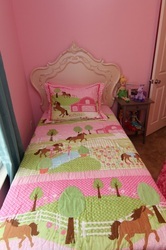 Clara was nominated several times for this room and we're so excited we can offer her family this welcome present. 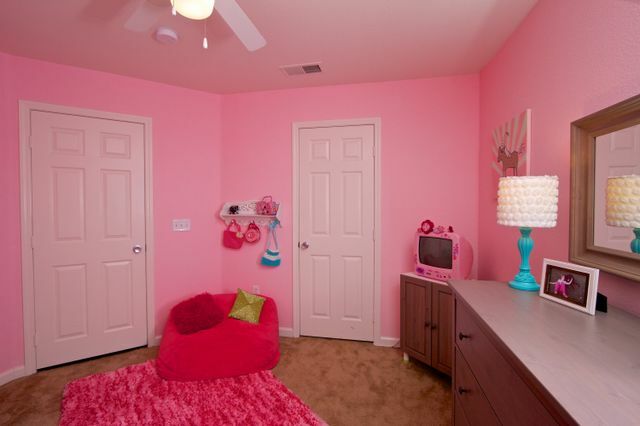 Clara deserves a room that will lift her spirits and meet all of her needs! Her nurses wanted her to have a room that made her smile and a place where she could retreat from the world when she needed her quiet time - and her privacy! 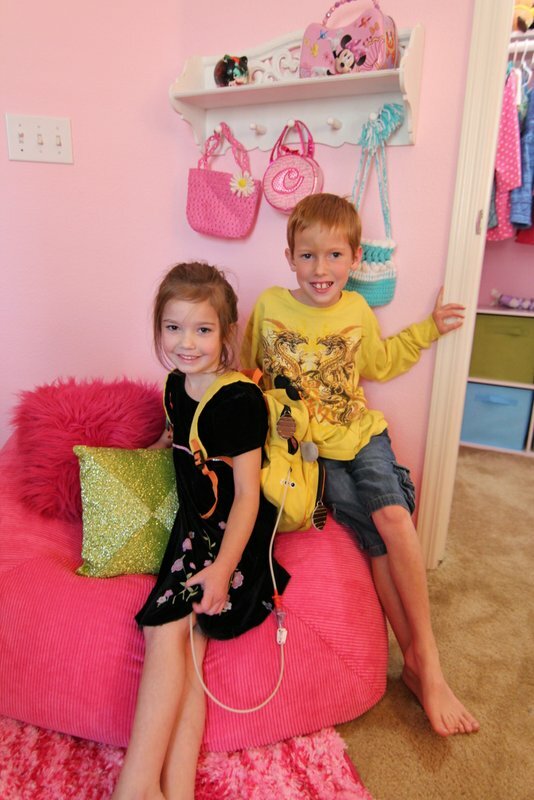 Clara, 5, has severe epilepsy, multiple Gastroenterology challenges and receives 100% of her nutrition via a feeding tube that is connected to Clara twenty four hours a day. Epilepsy is a generic term for a variety of seizure disorders characterized by chronic recurring seizures. It is not a disease, but a symptom of an underlying neurological disorder. A seizure is a disturbance in the electrical activity of the brain. Essentially, brief temporary changes in the brain's electrical system produce a sudden overload. This disturbance affects the brain's normal functions and produces changes in a person's movement, behavior or consciousness. There are at least 20 types of seizures. More than 2.5 million people in the US and 40 million worldwide have some form of epilepsy. In San Diego County over 50,000 people have the condition. In addition to her G.I. diseases (slow gastric emptying, gastroparesis, celiac disease, gastritis, and more), Clara has severe food allergies. Whenever she eats food it attacks her stomach and makes her sick. She has been severely sick since 8 months of age. It is harder for Clara to get out and about like other children as she loses energy fast. Due to her fragile medical state, Clara spends an exceptional amount of time at home in her room. Recently Clara has been having a very challenging time with the countless doctor appointments as they work with her family to find a more manageable feeding regimen that will offer some relief to Clara from feeling sick all the time. 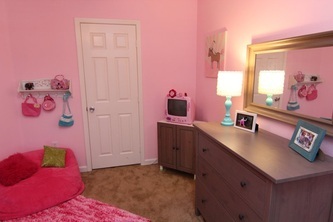 Her family is so grateful for the gift of this sweet dream room makeover. 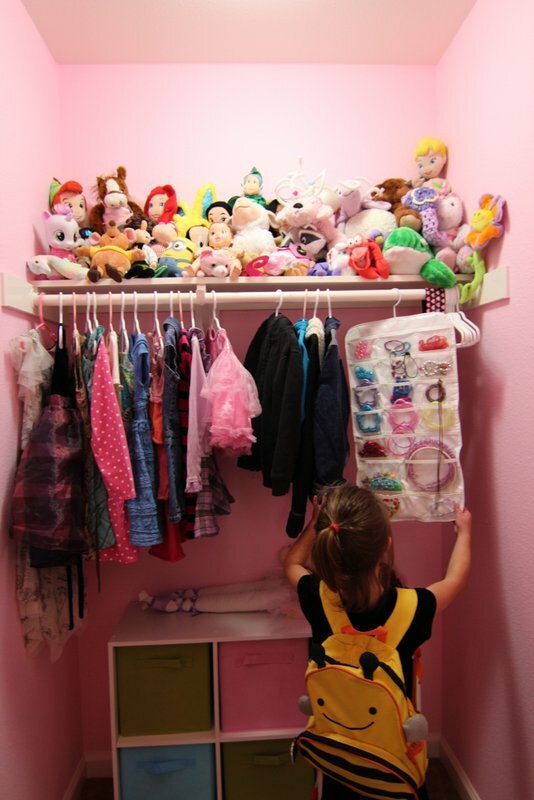 They shared that during a recent surgery at Rady Children's Hospital that Clara was telling everyone about some wonderful people who were coming to make her room special for her. 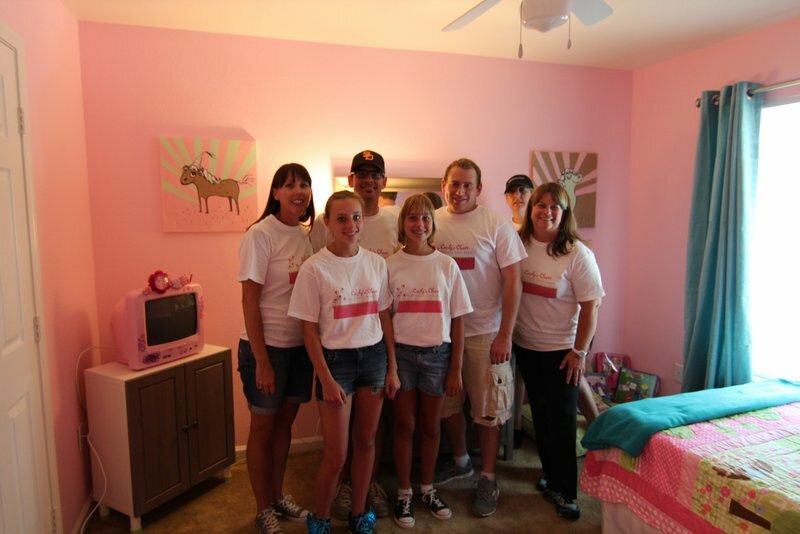 The room makeover provided her something positive to look forward to and helped carry her through a difficult time. Clara loves purple and pink - so it is no surprise that the team chose these colors as their inspiration! 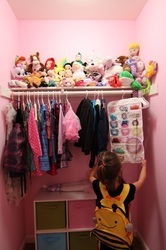 She loves princesses, flowers and her growing stuffed animal collection! 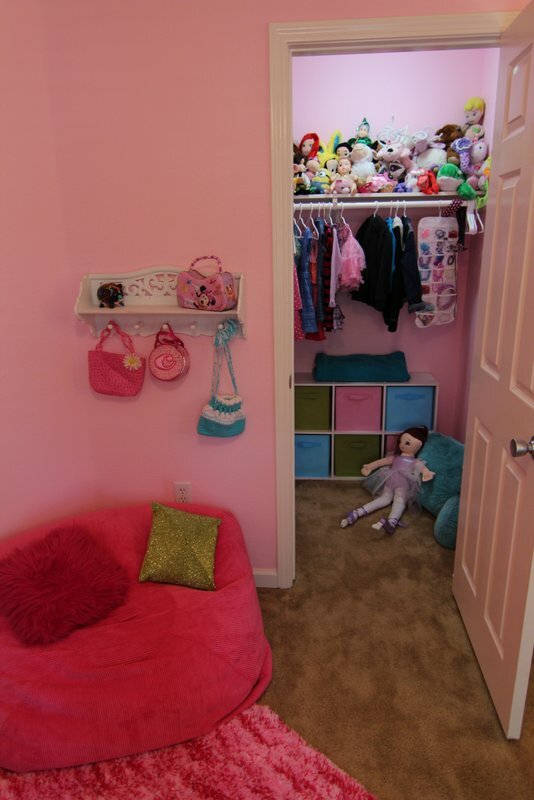 Her family's wish was for Clara to have a cozy place to relax and to stimulate her too. Clara's Mom, Dad and brother provide Clara the love and support needed to face any situation. Our hope is this room will provide a boost to the family to help them on their journey. Thank you Qualcomm, the world leader in 3G, 4G and next-generation wireless technologies, for actively participating in our first ever Mission of Giving Program. We are thrilled to be working with this amazing organization on a room makeover project! The team was excited from the start and the results are nothing short of perfect! We had more than ten members from Qualcomm working on this room! 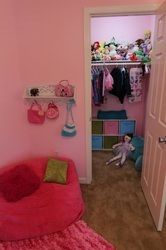 Thank you to Suzy for being the Project Lead on this sweet little girl's room! Green for the beautiful and perfect paint job. The Dunn-Edwards paint color Ballet Slipper! 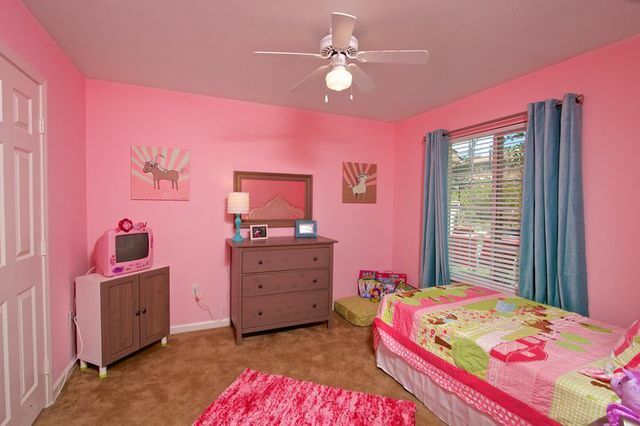 provided the perfect pink pop of color to the walls! 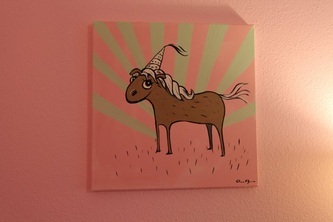 Thank you to newcomer artist to Cecily's Closet, Anna Guillotte. We encourage you to check out her web site. It is funny, hilarious and gives you a good idea of just how talented she is! We are so grateful to welcome a new artist to our team! The art was whimsical and fun - perfect for a growing five-year old girl! Thank you to Mattress Company Direct for the great deals and for being our favorite furniture store in San Diego. Magazine for donating so many toys for not only Clara, but for her older brother, DJ too.